Mar Sako speaks of "grass roots revolt" against terrorism and violence, combined with a renewed commitment "in defense of life." The authorities in Basra for the first time celebrate the New Year and ask Christians to come back. A group of young Muslim Shiites of Najaf attend Mass in the capital and have lunch with the patriarch. Several Baghdad streets festooned with Christmas trees. 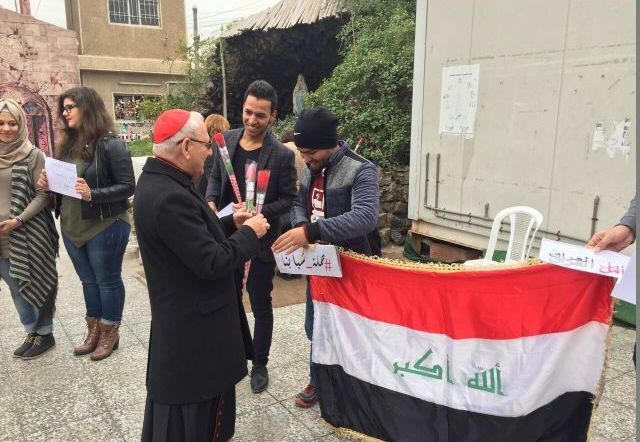 Baghdad (AsiaNews) - In Iraq we are witnessing " grass roots revolt against terrorism, against violence", accompanied by a renewed commitment to the "defense of life, of peace, of joy"; in this way "it is possible to defeat those who seek death, destruction, emigration”, the Chaldean Patriarch Mar Raphael Louis Sako tells AsiaNews, describing the festive atmosphere these days in the country, despite episodes of violence. 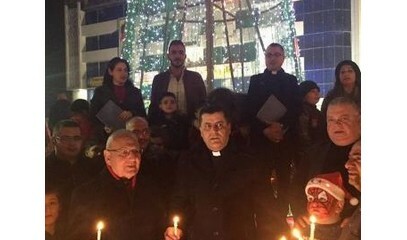 Among the many events that have marked these days of celebration, the Chaldean primate cites three examples: Christmas trees scattered around different neighborhoods in Baghdad; the visit of a group of young Najafdi Shiite Muslims who attended a mass in the capital; the celebrations for the new year in Basra and the invitation of local authorities to Christians, "to return to their homes." "New Year's Eve – says Mar Sako - I went out to go to a square in the Mansour neighborhood of Baghdad. We celebrated with a lot of people, nearly a million people took to the streets. " "We talked with them, we exchanged greetings; these are small things - but are important to reject the Daesh ideology of terror "[Arabic acronym of the Islamic state] who still target the capital with attacks. 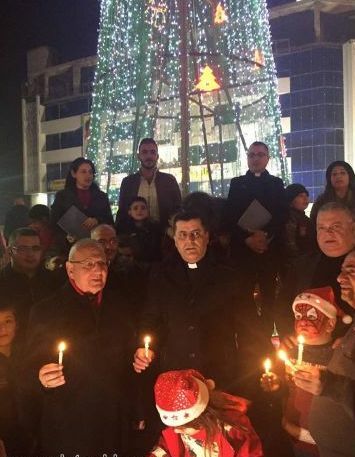 The "change" is visible, continues the Chaldean Patriarch, "especially in Baghdad, dotted with Christmas trees. And then the many letters of greeting from religious, political authorities, but also of Muslim civil activists and many ordinary people. " "I think 2017 - he said - will be another year, maybe not total peace, but certainly greater cohesion, unity. This is my prayer, but it is also the common feeling of the majority of citizens ". 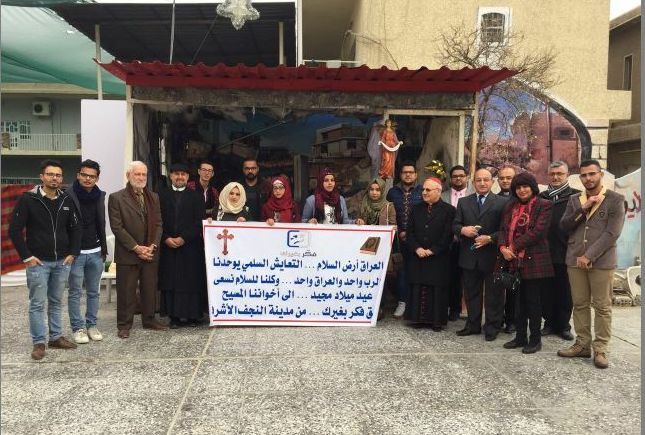 Basra’s political, religious and institutional authorities have launched an appeal to Christians, asking the many who have emigrated to return to their homes. In the southern Iraqi city New Year's Eve was also celebrated for the first time, demonstrating a greater climate "cohesion" among the different souls that make up the local situation and the whole country. The police forces in Basra kept watch so that the celebrations and the festivities were held in complete safety; the County Council has also committed itself to the maintenance and renovation of churches. "The governor and the president of the Municipal Council - Mar Sako continues - came to visit me in these days of celebration. A local Christian politician circulated a letter for the New Year against the war. We Christians have a lot to do for the local community; I asked the local authorities to show their closeness to the Christian communities, and these appeals and these initiatives [at Christmas] is a first response. " The most significant event of these days, believes Mar Sako, is the visit of a group of young Muslims, boys and girls, originating in Najaf, Shiite Muslims, who attended a mass in the church of St. George. Afterwards, the group had lunch with the patriarch of the Chaldean Church and other members of the executive exchanging stories and personal and community experiences. 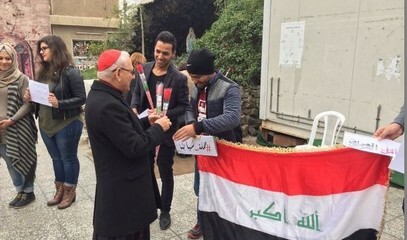 "They took part in the church service - recalls the primate Chaldean - and then we posed for photographs with a flag of Iraq and banners for peace. They young people were impressed by the songs and prayers. " "I explained to them - continues Mar Sako - our faith, in the one God, the Trinity concept. I explained the basics of our faith, the common descent from Abraham, the figure of Jesus. I invited them to combat ignorance of Christianity, we are not infidels. Reporters of two television channels also came, and I appealed to them to help spread awareness of our culture, to explain it to their audience, because there are many more things that unite us than divide us". "An even more significant - continues the Chaldean Patriarch - is that this visit of young Muslim Shiite of Najaf came on their own initiative. They have seen a few dedicated services to our community in the media, and they wanted to meet us, creating a personal and direct relationship with us that I hope will continue in the future. Here, from this we can also see the importance of newspapers and TV to provide opportunities for interaction and discussion. For this reason, this year, I asked the priests and bishops to think of messages and Christmas homilies that they could apply to everyone. "